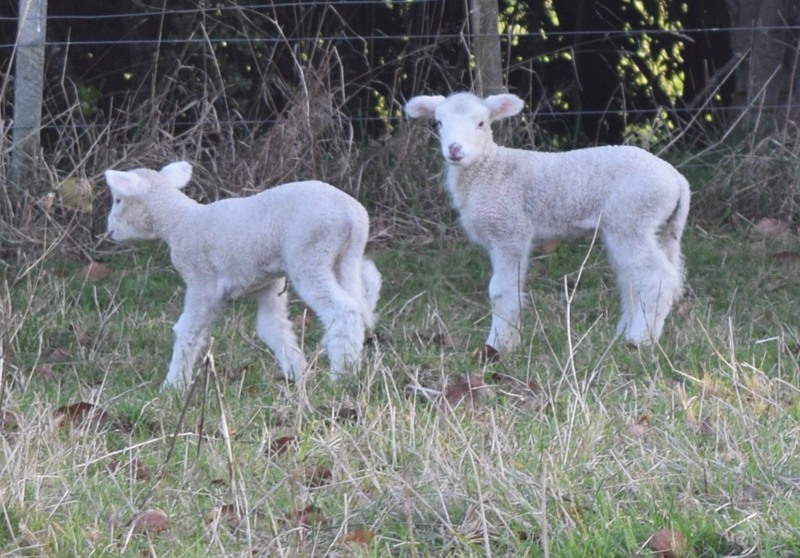 Maybe it’s because I am still quite new to country life (only been living in the country a year) but I’m thrilled and delighted every time I see a newborn lamb. 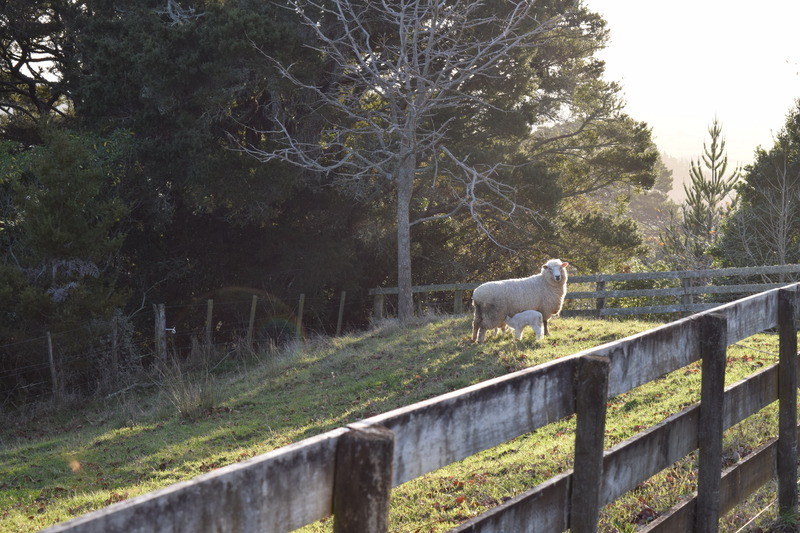 The first lamb of the season was right outside our bedroom window – what a happy surprise! We’ve had lots of twins and they are the cutest ever. They usually stick close to each other and so precious when they decide to play – jumping as though they have springs in their legs, finding everything interesting. 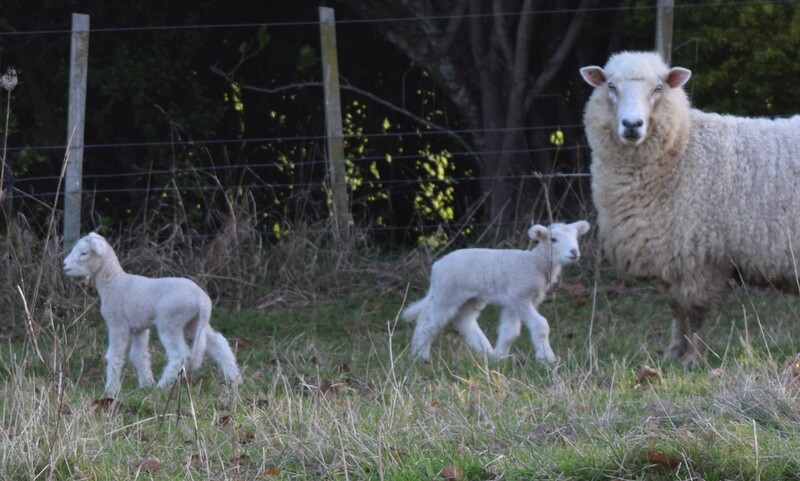 I like the way they stick close to mum, and the way the ewes are such peaceful, diligent mothers. 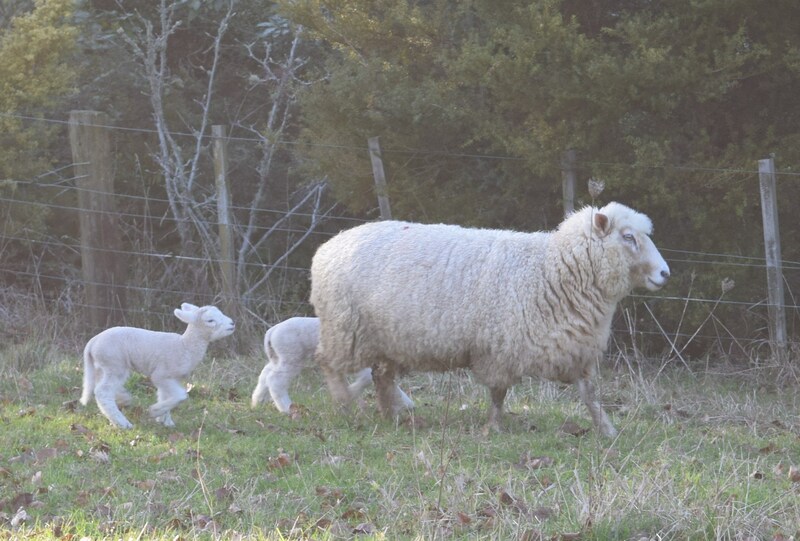 I saw a ewe guiding her little ones away from some nosey calves in the next paddock, the calves having raced to the fence to inspect the sheep. I saw another ewe calling to her young as she settled down for a rest. Her twin babes dashed over to her and snuggled in next to her.